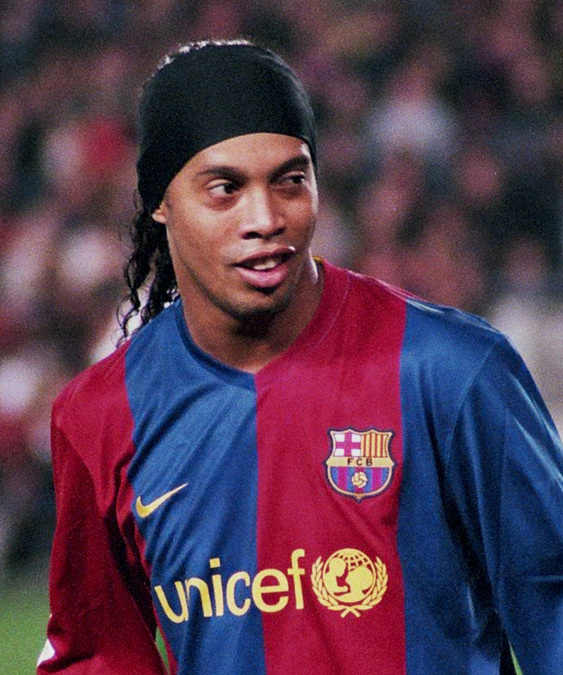 Ronaldinho is being linked with a surprise return to Barcelona as Ernesto Valverde weighs up his attacking options. Goal have suggested that the Brazilian is one of the free agents who could be brought in following Ousmane Dembele’s injury. Dembele has only just signed for the Blaugrana from Borussia Dortmund in a €105million deal – a club record – but is now expected to be out for around four months with a ruptured tendon. Barca lost Neymar to PSG this summer and hoped the Frenchman would go some way towards replacing him. Valverde now has a dilemma on his hands, even if he can rely on Lionel Messi and Luis Suarez for goals. Ronaldinho has never officially retired and is still playing charity matches at the age of 37, predominantly for Barcelona’s legends squad. During his time at the Nou Camp, he won two titles and one Champions League. The 2005 Ballon d’Or winner isn’t the only big name being linked. Other free agents who could sign outside of the regular transfer window include Diego Forlan, Diego Capel, and Jose Antonio Reyes.